It is becoming more and more common for family members to take on the role of caregiver. As an Elder Law Attorney, you are faced with the ever-growing challenge of navigating the tricky rules and tax implications surrounding caregiver agreements. Often adult children leave full-time jobs to become a full-time caregiver for a parent. Problems can arise where the adult child begins to receive compensation from a parent and there is not a properly prepared caregiver agreement documenting these payments. In this webinar, Certified Elder Law Attorney, David Rice, will provide practical tips and tricks on drafting Caregiver Agreements. He will explain when a Caregiver Agreement is needed. He will also answer all your pesky drafting questions and address the tax implications of a caregiver agreement. 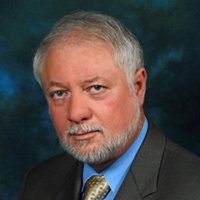 David Rice has been in private practice since November 1979 as a tax professional. Prior to law school, Mr.Rice worked for the accounting firm of Coopers & Lybrand. Mr. Rice is the sole proprietor of the law firm of David Lee Rice, APLC, rated AV by Martindale & Hubbell for the last 15 years, and is one of Los Angeles Magazine’s Super Lawyers for 2006-2018. He is a member of the American College of Tax Counsel. Mr. Rice was a tenured Professor in accounting at Cal Poly Pomona where he was in charge of all the tax classes. Mr. Rice has taught on the Masters of Taxation Program at California State University at Northridge and Golden Gate University. Mr. Rice has also taught Divorce and Taxation for Chapman’s LLM in taxation program as well as many courses at the University of West Los Angeles School of Law. Rebecca A. Hobbs is the National Director of at ElderLawAnswers. 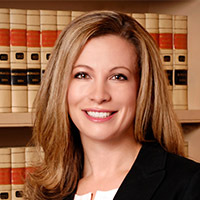 She is an associate attorney with the law firm O'Donnell, Weiss & Mattei, P.C. in the greater Philadelphia, Pennsylvania area. She is Certified as an Elder Law Attorney (CELA) by the National Elder Law Foundation as authorized by the Pennsylvania Supreme Court. In 2019, 2018, and 2017 Rebecca was selected for inclusion by the Pennsylvania Super Lawyers as a Rising Star in the field of elder law. She is an active member of the National Academy of Elder Law Attorneys (NAELA) and the Pennsylvania Association of Elder Law Attorneys (PAELA), and serves on the Editorial Board of the NAELA Journal and the serves on the Special Needs Law Section Steering Committee through NAELA. As a member the Pennsylvania Bar Association (PBA), she serves as the Young Lawyer Division Liaison to the Elder Law Section Council. Rebecca is also a member of the Montgomery County Bar Association and is a Co-Chair of the Elder Law Section.